Carmel and Alan Clarke met when Alan, who had been living in America, came home and started doing some building work on Carmel’s family florists La Belle Fleur in Drumshanbo County Leitrim. ‘We knew each other as we grew up in the same parish but it wasn’t until Alan came back from America that we started dating,’ recalls Carmel. She goes on to recall details of their romantic and intimate proposal which happened during a mini break to Kerry. ‘We were walking along Inch beach when I saw a big C in the sand. I joked that there should be an A beside it and Alan got down and added an A+ to the C. He then swung around and all of a sudden he was on one knee with a ring in his hand, asking me to marry him. I was in total shock as there was no lead up to this. It was a complete surprise. When it came to planning the wedding Carmel knew there was only one choice. 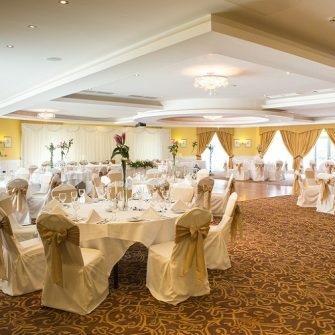 ‘Growing up Lough Rynn Castle was a special place for me and I had many special childhood memories spent there so it was a natural choice for our venue. When it came to a theme the couple opted for luxurious/glamour with the men in black tie and the bride wearing a princess style gown. The couple choose David Knight Photography, with David and his son Ben at the helm throughout the day. 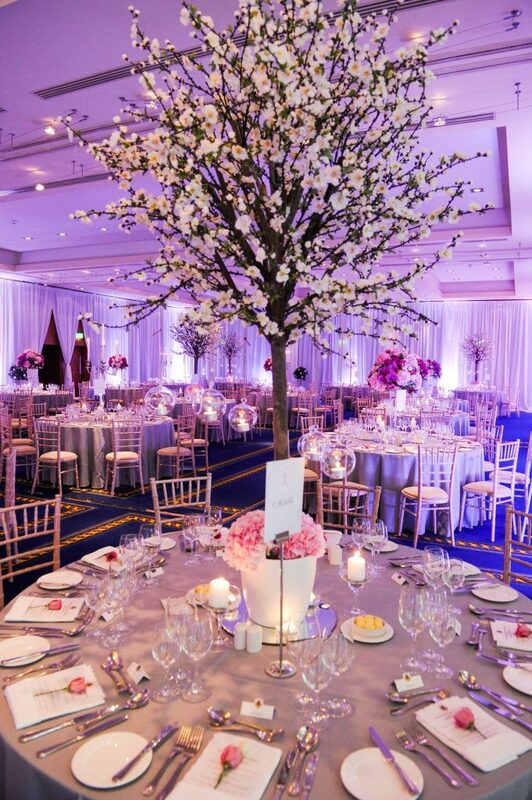 ‘David is so professional and knows Lough Rynn Castle so well. He went above and beyond to get the most amazing photos. We adore our photos and his service was exceptional,’ says Carmel. 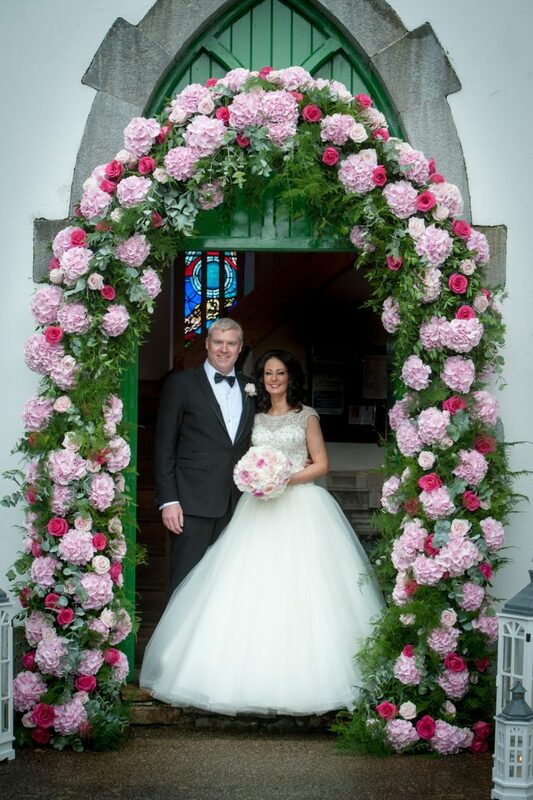 For her dress the bride opted for a Ronald Joyce dress from McElhinneys in Ballybofey, Co Donegal. 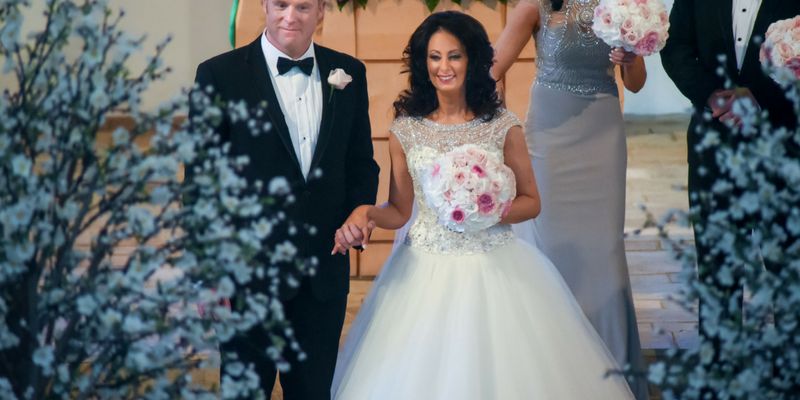 ‘It was a princess style dress with very detailed luxury beading on the bodice and encrusted with crystals, a bateau neckline and tulle skirt. 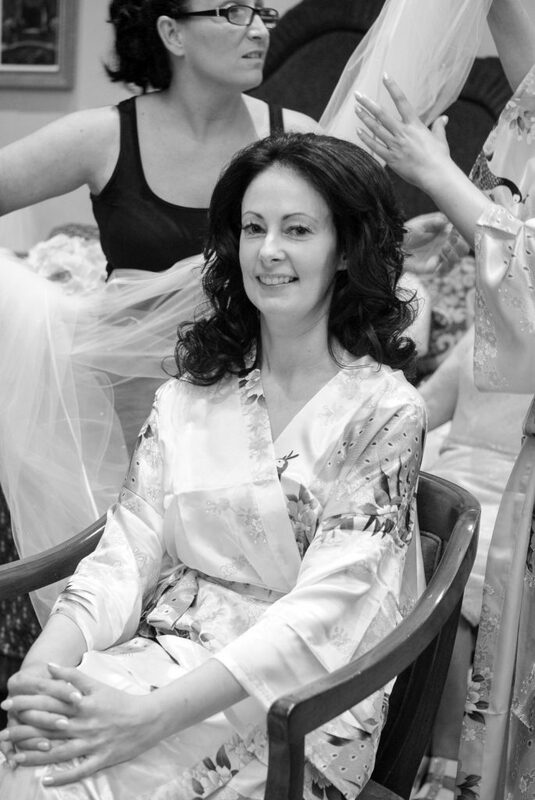 As soon as I put it on I felt happy and comfortable in the dress, I was totally relaxed and loved it. 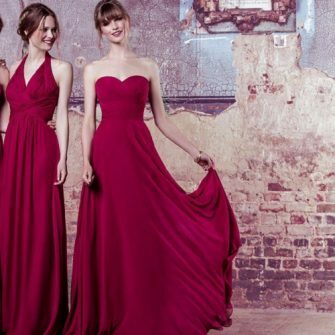 The staff were so helpful and made finding the perfect dress easy. 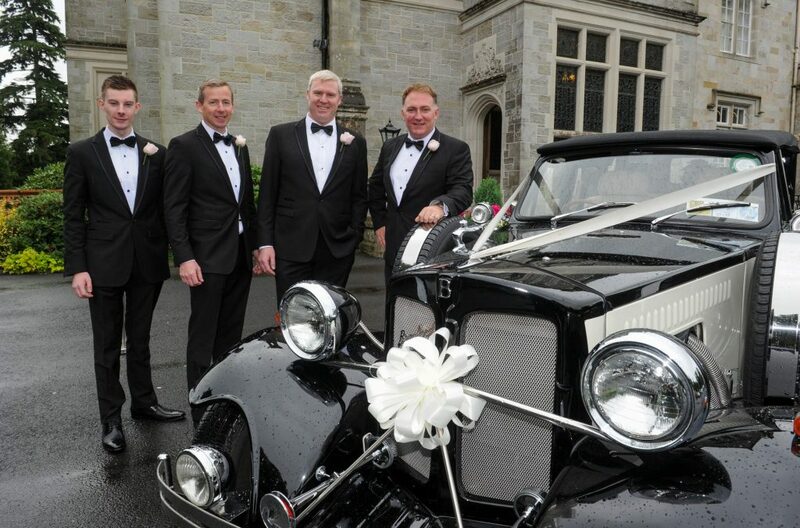 Not to be out done the men wore black tie suits from EJ’s Menswear in Sligo. ‘The girls wore full length dove grey dresses with very detailed beaded bodices, encrusted with crystals also to compliment my dress. 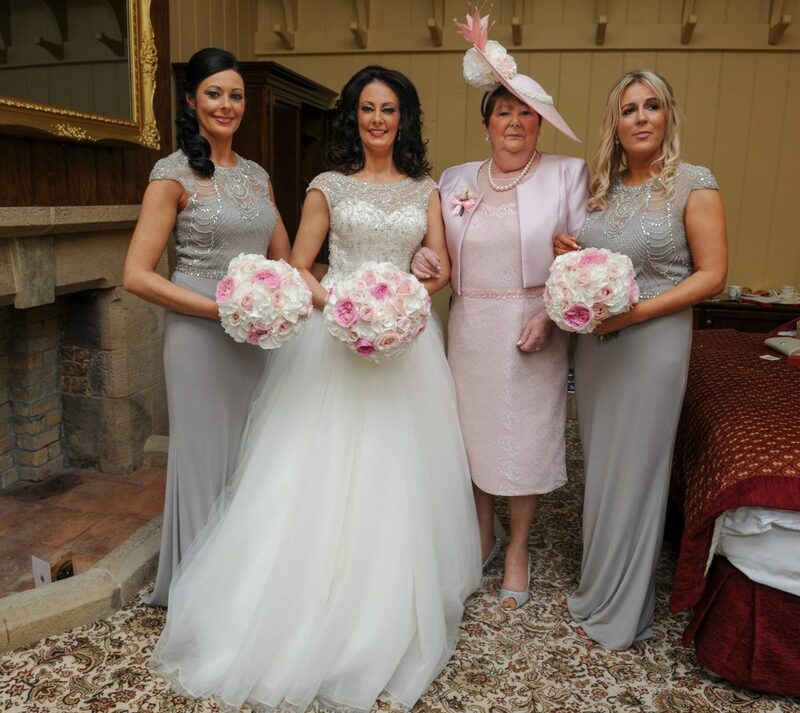 It was all about glamour on the day, the girls were delighted with their dresses,’ reveals Carmel. Of course flowers featured dramatically throughout the day with Helena and Carmel who have run La belle Fleur for the last 17 years in their element. ‘We won the very prestigious Wedding Florist of the Year Award with Wedding Journal in 2016. 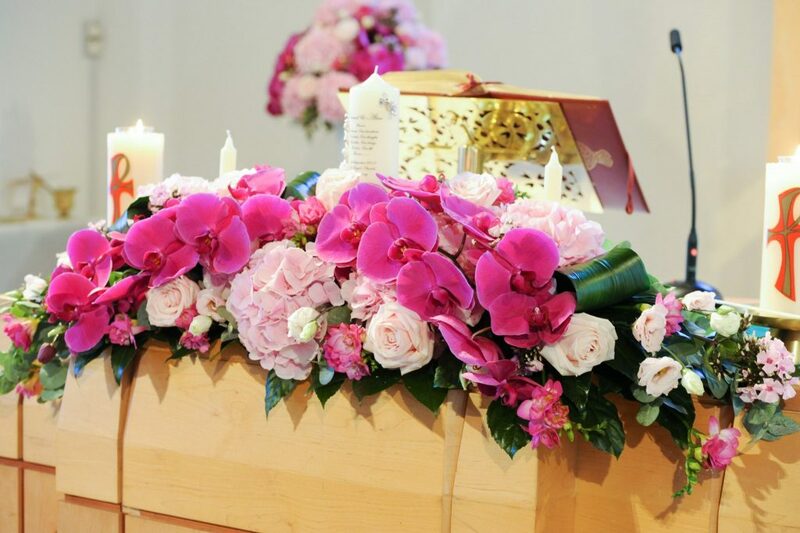 ‘For the wedding we chose all high end flowers such as David Austin Roses, lush hydrangeas, various roses and Phalaenopsis orchids, draping from the large floral displays. As we love flowers so much it was difficult to decide, so we just went with our favourites. Carmel’s mum wore a stunning dress and jacket to match in baby pink, from McElhinney’s Ballybofey and a hat designed by Jennifer Wrynne. 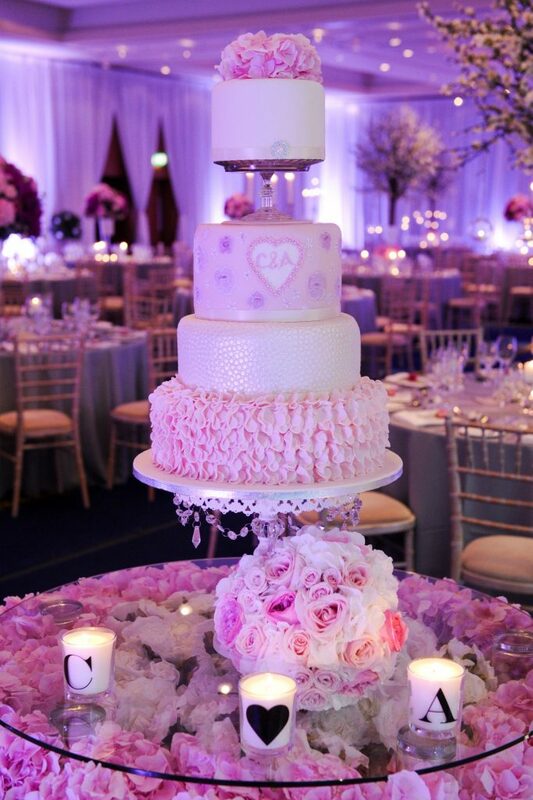 The cake was designed by Cannaboe Confectionery Ballinamore, Co. Leitrim. One tier was created to match in with the wedding invitation. He says; ‘The moment I saw Carmel walking towards me in the church. She says, ‘My son Sean walking me up the aisle in place of my dad. Also when Alan got up to sing a few songs with the band Late Nite Radio, who are lifetime friends of Alan’s. 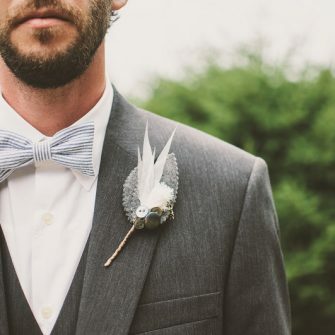 The Groom; ‘Get involved in all the planning too and enjoy the experience together.